What is the maximum number of guests on the tour? Maximum number of guests is 20. We have spaced the seating out in the vehicle to allow for extra leg room for a more comfortable journey. We have no upper age limit as people’s physical abilities vary and are not necessarily age related. All children must be accompanied by a responsible adult. 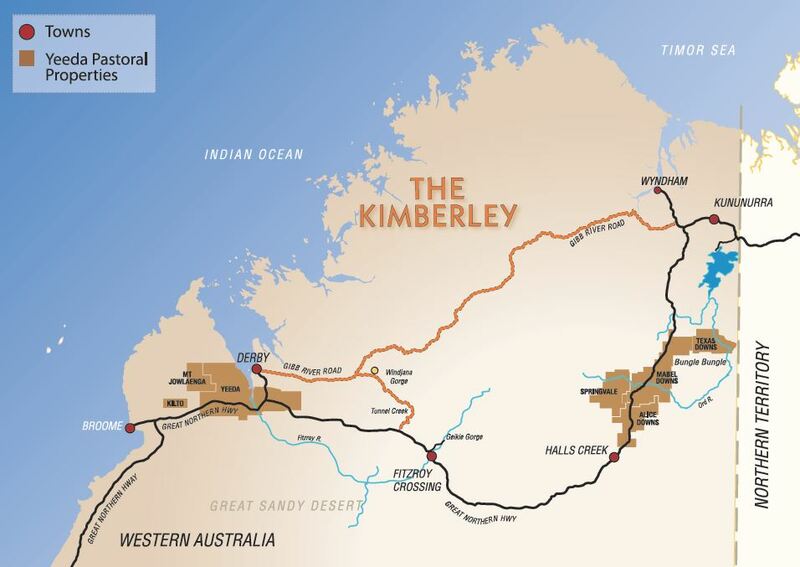 Who will be leading my ‘Call of the Kimberley’ adventure? We provide experienced Kimberley guides with a broad range of skills. Is my tour fully inclusive? Our 1-day luxury tour is fully inclusive. 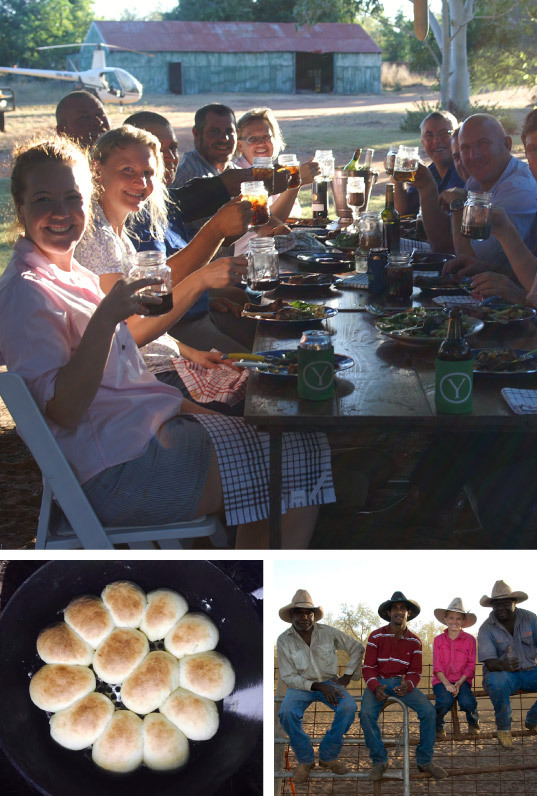 You will enjoy the best of everything, from a delicious outback meal, cold beer and top shelf wines to your comfortable 4WD bus. All you have to do is relax… and enjoy the sights, sounds and activities of the magnificent Kimberley. What type of vehicle do we travel in? We have a custom designed 4WD bus specifically tailored for travelling in the sometimes remote and harsh conditions we encounter in the Kimberley. Our vehicle is as robust and reliable as possible, it is fastidiously maintained with regular mechanical servicing and daily checks. Safety and comfort is of paramount importance and we provide ablution facilities and air-conditioning. Who will I be dealing with when I plan and book my tour? You will be dealing with our very knowledgeable and experienced team at the Broome office. The team are local and know and understand the Kimberley. The tour is active and does allow for different levels of fitness and abilities. Unfortunately, we are travelling remote and there is a lack of suitable disabled facilities throughout most of the journey. Our vehicles are not able to cater for wheelchairs due to space restrictions. What style of accommodation is available at the Station? At Yeeda Station we have stylish outback accommodation in the form of Eco glamping tents with your own en-suite. The accommodation has all been personally road-tested by us! They have character, are extremely comfortable, provide warm and personalised service and offer the very best Kimberley dining experience. We also offer powered sites for tents, trailers or caravans. When is the touring season? What is the weather like? The Kimberley touring season is the Australian winter and in the Kimberley we have a ‘wet season’ from around December to March (hot and humid) with a ‘build up’ through October to November (also hot and humid) and a ‘dry season” April to September. Our primary touring season is May to September (glorious warm days and cooler evenings) with June and July as the busiest months. As a general guide loose & casual clothing is best and a decent pair of walking shoes essential. During the day it’s usually very pleasant and shorts or light comfy trousers are the way to go. It can get quite cool in the evenings. We can cater to most special requests such as a vegetarian menu, food intolerances, special diet dishes etc however we must be notified in advance of any special dietary requests as we often operate in remote regions where our suppliers have limited availability if not pre-advised. please contact us if you have any questions on dietary requirements. Would do I need to bring?